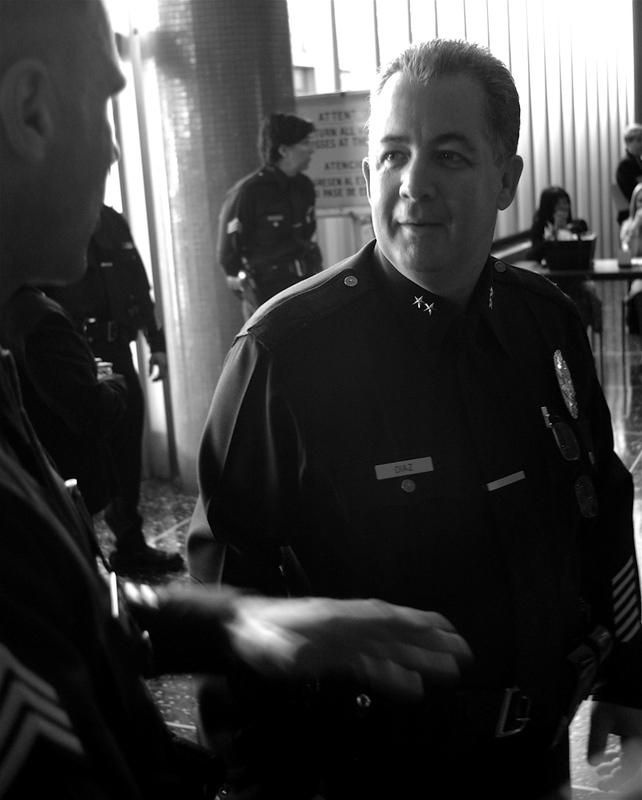 Two Ranking Officers: Arts District Senior Lead Officer Sergeant Kris Werner is greeted by LAPD Deputy Chief Sergio Diaz (Operations-Central Bureau Commander) before a promotion ceremony held this morning at Parker Center. Diaz was promoted after the May 1 conflict at MacArthur Park and was among those officially sworn-in, along with newly appointed deputies, lieutenant and sergeants. Werner began his career as an LAPD officer months after the 1992 Rodney King Riots, and it was those riots that prompted LAPD to begin its community policing program––including assigning Senior Lead Officers for the different districts around Los Angeles. 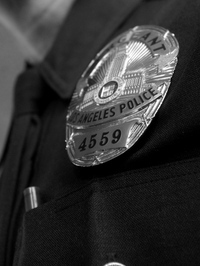 Werner has been assigned to LAPD's Hollenbeck Division, just across the river from the Arts District, Wednesday night was the last walk under with Werner. So ends View From a Loft's Werner Watch.